Continuing on from the last log where I ended with a choice lily this is what I got as Nomocharis basilissa it has alternate leaves and looks a lot like N. aperta or saluensis to me, I must dig out a book and check. 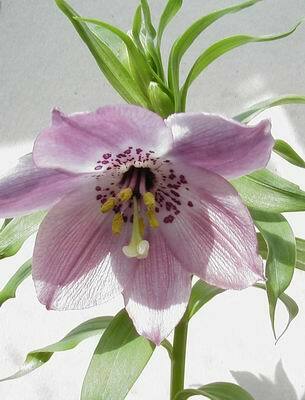 We are still growing it in a pot so it is flowering that bit earlier than the nomocharis in the garden. Just to prove that there are some bulbs that I do not think are worth growing this is a very small onion from the USA which I was given with a selection of other allium seeds, all collected in the USA. The others are all good decorative plants but the best I can say of this is that it is of botanical interest! It has been relegated to the edge of a bulb bed where it is very happy, I just bet that it will survive long after the better ones have died. 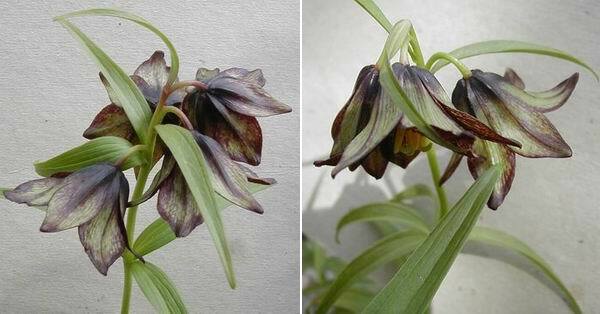 Fritillaria camschatensis is one of the few species of bulbs to grow in both North America and Asia. 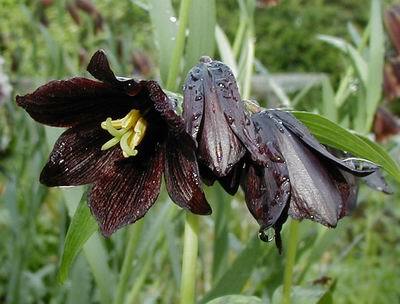 This is a very good large flowered dark form that we got many years ago from Harold Esslemont. It has all the characteristics that I associate with the Asian forms and particularly with the Siberian ones. It is flies that seem to be attracted to this species in our garden rather than the wasps that gather around the other frits. 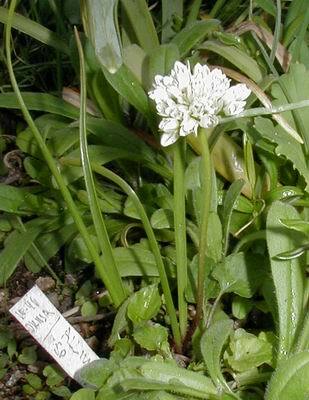 This is the Alaskan form it has narrower leaves and the tepals are usually more pointed than the Asian forms. The flowers also have varying amounts of green on the tepals. 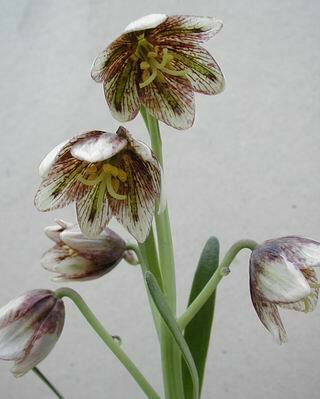 You can select out some very elegant forms with good markings and a nice flower shape. 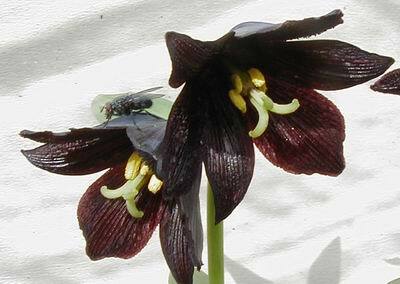 The inside of the flowers is always dark with no green, I should never say never when speaking about plants, they have this habit of proving you wrong, so - all the ones that I have seen have a dark interior. You could argue that these are two different species as there are many more points of difference that you can separate them with than separate many other species of Fritillaria. 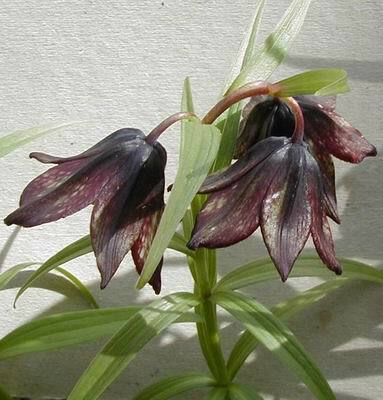 I have often thought when looking at the Northern forms of Fritillaria affinis that it is a link to the Alaskan forms of F. camschatensis or could it be that the Alaskan camschatensis is an ancient hybrid between F affinis and the Asian camschatensis. However they have evolved you can see the similarities. 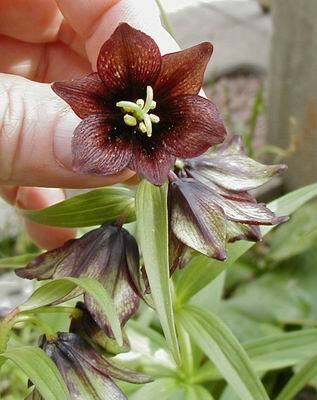 Fritillaria 'Martha Roderick' is, at about 20cm high, a short form of F. biflora or is it, as has also been suggested, a hybrid with F purdyi. 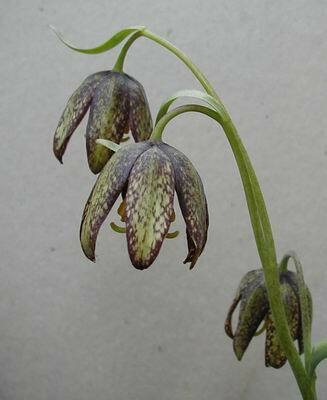 We also grow a form of F. biflora that has very similar flowers but it is twice the height. 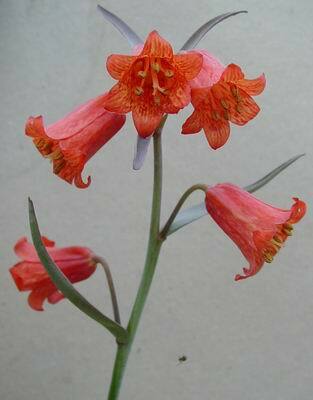 Fritillaria recurva has to be one of the most stunning of the frits with its vibrant orange/red flowers. Sweet nectar flows from these flowers and it should be no surprise that they are pollinated by humming birds in the wild, I have yet to see a humming bird in Aberdeen! 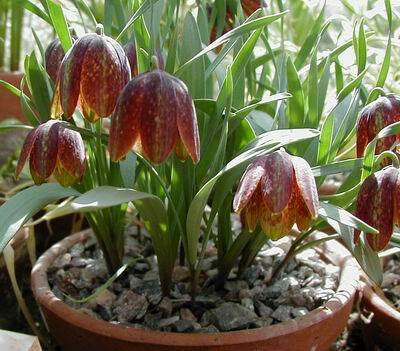 Always the last of the European/central Asian frits to flower for us is the delightful dwarf Fritillaria epirotica a reliable bulb both for the bulb house and a well drained spot in the garden. Finally this week watch out for aphids on the bulbs, I have noticed that they are about in large numbers now and it is important to keep them off your bulbs, I have sprayed the bulb houses today.